A large number of factors are responsible for popularity of any analytical technique. The key contributions are its scope of applications, affordable cost and range of options for adaptation to meet the analysis requirement in laboratories. 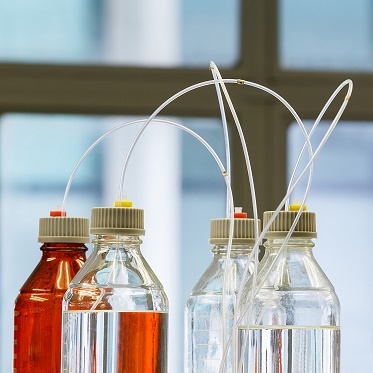 HPLC or High Performance Liquid Chromatography is one technique which meets all the above mentioned criteria. The aim of this article is to highlight such factors that will help you appreciate the reasons for such wide popularity of the technique. A basic working model of HPLC comprising of a UV detector, universal C 18 column, valve injector,isocratic pump and operational software for majority of routine applications would cost around US $ 20,000+/- US $ 2 to 3K depending on the make and your location. Further addition of columns, detectors, autosampler is possible to make the system moreversatile but even then the cost remains affordable by most laboratories and several laboratories have scores of installed systems. HPLC columns are available ranging in lengths up to 25 cm and bore sizes from nanometers to standard size of 0.46 mm. Narrow bore columns help reduce analytical runtimes to seconds instead of minutes. Long columns with wide bores are used for high scale preparative modes of operation. C18 stationary phases are used commonly for majority of applications. However, other stationary phases in common use are C8, CN, amino, ion exchange and chiral columns which extend the range to several other application areas. New packing materials based on monolith and zirconia based materials help further expand the operation to broader pH and temperature ranges. Speed and resolution of analysis has seen impressive growth with the introduction of core shell particle materials and others below 2.7μm size particles in UHPLC applications. HPLC holds great promise in Pharma industry in the areas of product development and quality control. Range of applications cover new drug development, assay to give the concentration of active ingredients, stability studies, impurity profiling, bio- availability and bioequivalence studies. Size exclusion chromatography is having several applications in development of new polymeric materials and manufacturing through characterization by molecular weight distribution. Refractive index and light scattering detectors have served to further enhance the scope of such applications. The stage is already set for widespread use of HPLC inuniversity laboratoriesand manufacturing industry in quality control and product development activities. Seeing the present trend HPLC is expected to retain its dominant position in modern analytical laboratories.